56 Commonwealth is located on the south side of Commonwealth, between Berkeley and Clarendon, with 54 Commonwealth to the east and 58 Commonwealth to the west. 56 Commonwealth was designed by architect George Nelson Jacobs and built in 1930 as a five story, 22-family apartment house. 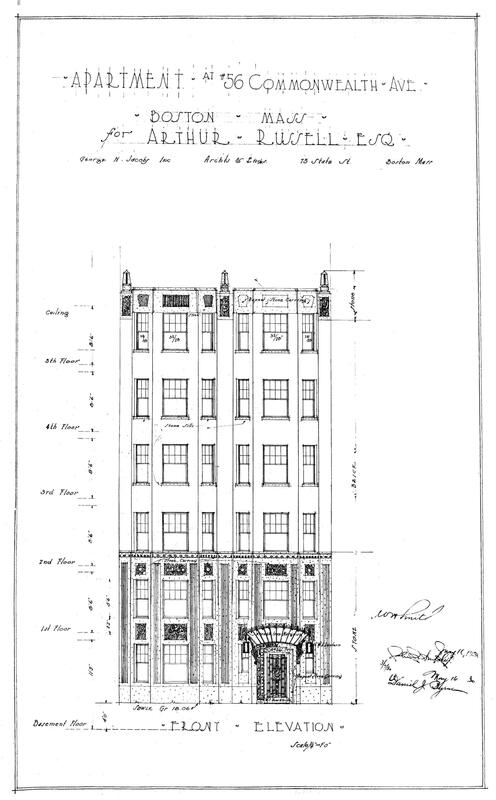 It was built for real estate dealer Frederick E. Johnston, who is shown as the owner on the original building permit application, dated February 10, 1930. Plans for the building — including elevations, floor plans, framing plans, and foundation and steel bracing plans — are included in the City of Boston Blueprints Collection in the Boston Public Library’s Arts Department (reference BIN P-77). 56 Commonwealth replaced a townhouse which had been razed in April-May of 1930. It had been acquired on January 20, 1930, by Arthur Russell, a salesman with Frederick Johnston’s firm. On June 25, 1930, after the house was demolished, the property was transferred to Frederick Johnston. Click here for an index to the deeds for 56 Commonwealth. On January 21, 1931, 56 Commonwealth was acquired from Frederick Johnston by George J. Wilson. On June 18, 1935, the Charlestown Five Cents Savings Bank foreclosed on its mortgage to George Wilson and took possession of the property. On March 27, 1940, it was acquired from the bank by the General Commonwealth Corporation. 56 Commonwealth subsequently changed hands, and on August 28, 1945, was acquired by Irving W. Boyer and Samuel M. Lewis, each with a fifty percent undivided interest. On November 6, 1945, Irving Boyer and Samuel Lewis transferred the property to Mutual Associates, Inc., of Boston, of which Irving Boyer was the president and Samuel Lewis the treasurer. Mutual Associates also owned 60 Commonwealth. On June 1, 1959, Mutual Associates transferred 56 Commonwealth and 60 Commonwealth back to Irving Boyer and Samuel Lewis, and on the same day it was acquired by Southeast Management Corporation. On July 1, 1971, Southeast Manager Corporation liquidated its assets and transferred 56 Commonwealth and 60 Commonwealth to Robert Gordon and Lola Jacobson. Robert Gordon was treasurer of Southeast Management. On July 1, 1971, they transferred both properties to Phyllis Norman. In July of 1974, Phyllis Norman filed for (and subsequently received) permission to legalize the number of units as 23 (rather than 22), reflecting the original 22 units plus the superintendent’s apartment, which existed since the building was built but was not included as a separate dwelling unit in the original permit application. On August 1, 1974, both properties were acquired back from Phyllis Norman by Robert Gordon and Lola Jacobson. On the same day, they were acquired by Norman G. Gear, trustee of the 56 and 60 Commonwealth Associates Trust. On September 30, 1974, he converted 56 Commonwealth into 28 condominium units (having subdivided five apartments to achieve the increased number) and 60 Commonwealth into eight condominium units. Although separate buildings, with a building between them, the two buildings were converted into a single condominium: the 56 and 60 Commonwealth Condominium. The original house at 56 Commonwealth was designed by Snell and Gregerson, architects, and built ca. 1866. It had been one of four contiguous homes (54-56-58-60 Commonwealth) built at the same time in a Georgian Revival style, with bow fronts and balustraded parapets above the main cornice. 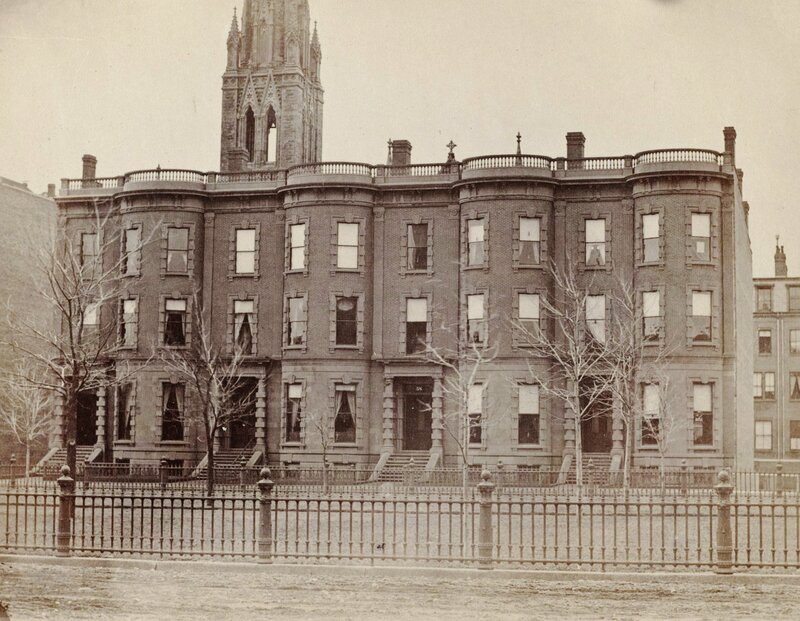 56 Commonwealth was built as the home of Maria (Francoeur) Sayles, the widow of Willard Sayles, a textile manufacturer and merchant, on land she purchased from the Commonwealth of Massachusetts on January 4, 1866. 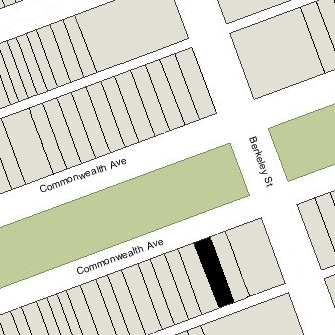 At the same time, her son, banker and broker Henry Sayles, had 58 Commonwealth built next door to the west, and her son-in-law and daughter, Dr. John Cauldwell Sharp and Helen Sharp, had their home built next door to the east, at 54 Commonwealth. Henry Sayles lived only briefly at 58 Commonwealth, if at all, and by 1868 was living with his mother at 56 Commonwealth. He was unmarried. Maria Sayles died in February of 1874. In her will, she left 56 Commonwealth to Henry Sayles and he continued to live at there until about 1876. He also maintained a home in Brookline. 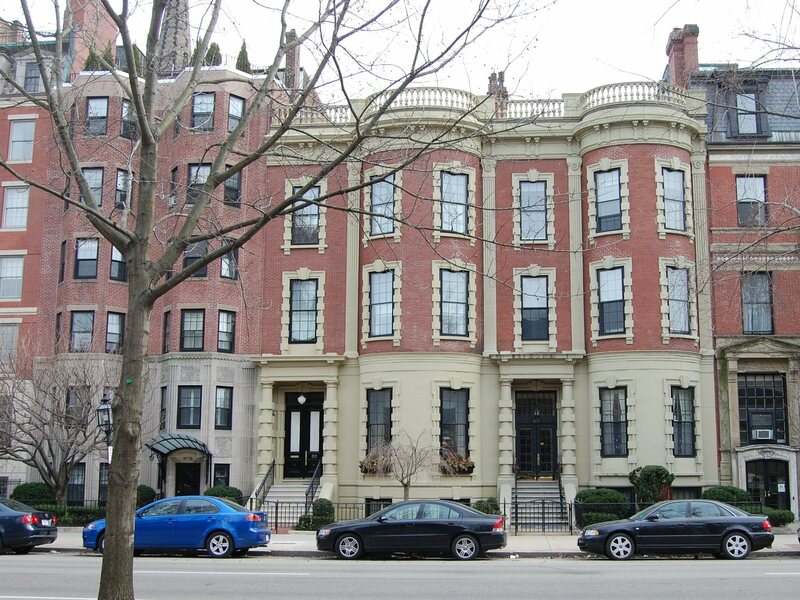 He had moved by 1877 and subsequently maintained his Boston residence at the Somerset Club, leasing 56 Commonwealth to others. By the 1876-1877 winter season, it was the home of Arthur Cheney and his wife, Emeline (Lewis) Cheney. They previously had lived at 131 Boylston. Arthur Cheney was Boston agent for his family’s silk manufacturing mills in South Manchester, Connecticut. In the 1860s, he and Dexter H. Follett had built Selwyn’s Theatre in Boston, later renamed the Globe Theatre; from the early 1870s, Arthur Cheney both owned and managed the theatre. He died in October of 1878. During the 1878-1879 winter season, 56 Commonwealth was the home of former China shipping merchant James Murray Forbes and his wife Alice (Bowditch) Forbes. They previously had lived at 249 Berkeley. By 1880, they had moved to a new home they had built at 107 Commonwealth. By the 1879-1880 winter season, 56 Commonwealth was the home of attorney Charles Taylor Lovering and his wife, Marian Shaw (Sears) Lovering. They continued to live there during the 1880-1881 winter season, but moved soon thereafter to their newly-completed home at 263 Commonwealth. By the 1881-1882 winter season, 56 Commonwealth was the home of William Arnold Buffum, a noted collector of amber, and his wife, Marian (Simmons) Buffum. They previously had lived at 222 Beacon. They continued to live at 56 Commonwealth in 1886. By the 1886-1887 winter season, 56 Commonwealth had become the home of Henry Sayles’s brother-in-law and sister, Charles Francis and Harriet (Sayles) Francis. Harriet Francis died in late 1891. Charles Francis continued to live at 56 Commonwealth. During the 1891-1892 winter season, he was joined by his son-in-law and daughter, architect Herbert Jaques and Harriet (Francis) Jaques. Their usual residence was in Chestnut Hill. During the 1892-1893 season, he was was joined by Henry Sayles. Charles Francis then moved temporarily to the Union Club at 8 Park. By the 1893-1894 winter season, 56 Commonwealth was the home of woolen manufacturer Frederic Simmons Clark and his wife Isabella (Talbot) Clark. They previously had lived at 181 Beacon. They continued to live at 56 Commonwealth during the 1895-1896 season, after which they moved to 17 Commonwealth. By the 1896-1897 winter season, Charles Francis was once again living at 56 Commonwealth, joined by Herbert and Harriet Jaques. They continued to live there until about 1900. By the 1900-1901 winter season, 56 Commonwealth had once again become the home of Henry Sayles. In 1899, he had been living in Bar Harbor. From about 1902, he was joined there by his nephew, George Tappan Francis (the son of Charles and Harriet (Sayles) Francis) and his wife, Frances (Brown) Francis. George Francis was a piano manufacturer and later a mechanical engineer. Henry Sayles died in 1918, and 56 Commonwealth was inherited from him by George Francis. 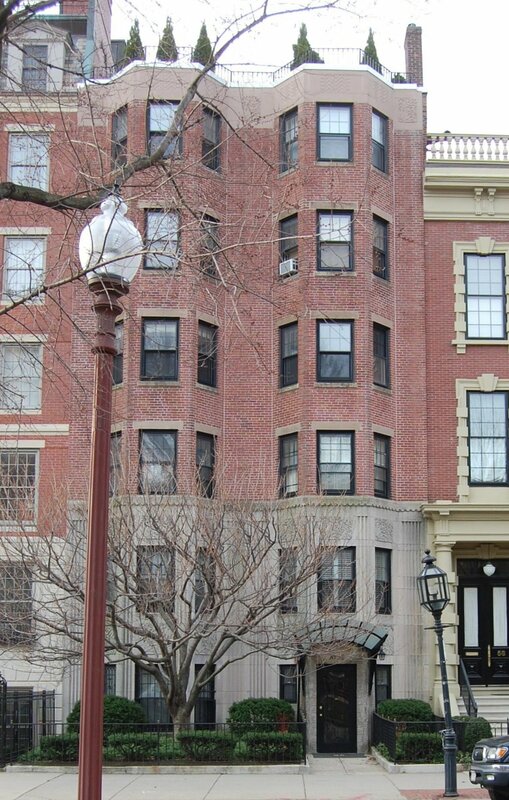 George and Frances Francis continued to live at 56 Commonwealth until about 1929, when they moved to an apartment at 172 Beacon. They also maintained a home in Charles River Village in Needham. On July 29, 1929, 56 Commonwealth was purchased from George Tappan Francis by Edward Girard McCarthy. The property subsequently changed hands and was acquired on January 20, 1930, by Arthur Russell, a real estate salesman in the firm of Frederick E. Johnston. The house was demolished in April-May of 1930, and on June 25, 1930, the property was transferred to Frederick E. Johnston.